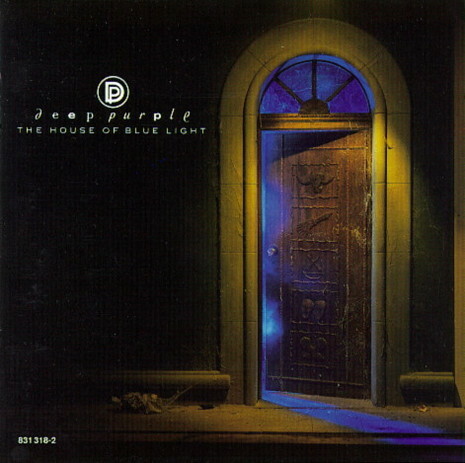 The House of Blue Light is the twelfth studio album by Deep Purple, released in 1987. It is the second recording by the re-formed Mark II lineup. The album's creation was an exceedingly long and difficult process, and Ritchie Blackmore has said much of it was re-recorded. Ian Gillan has remarked on how strained relations within the band compromised the album: "I look back at House Of Blue Light, there are some good songs on that record, but there’s something missing in the overall album. I can’t feel the spirit of this band. I can see or hear five professionals doing their best, but it’s like a football team, it’s not functioning. It’s like eleven superstars that are playing on the same field but are not connected by the heart or by the spirit". Added organist Jon Lord, "We made the massive mistake of trying to make our music current. We discovered that people didn’t want us to do that." Several tracks on the LP version are shorter than those of the original CD released in 1987. The 1999 CD remaster used the original vinyl master tapes, and so its running time is correspondingly shorter than the original CD version as well. Two promotional videos to the songs Bad Attitude and Call of the Wild were produced. However, only the first featured members of the band.